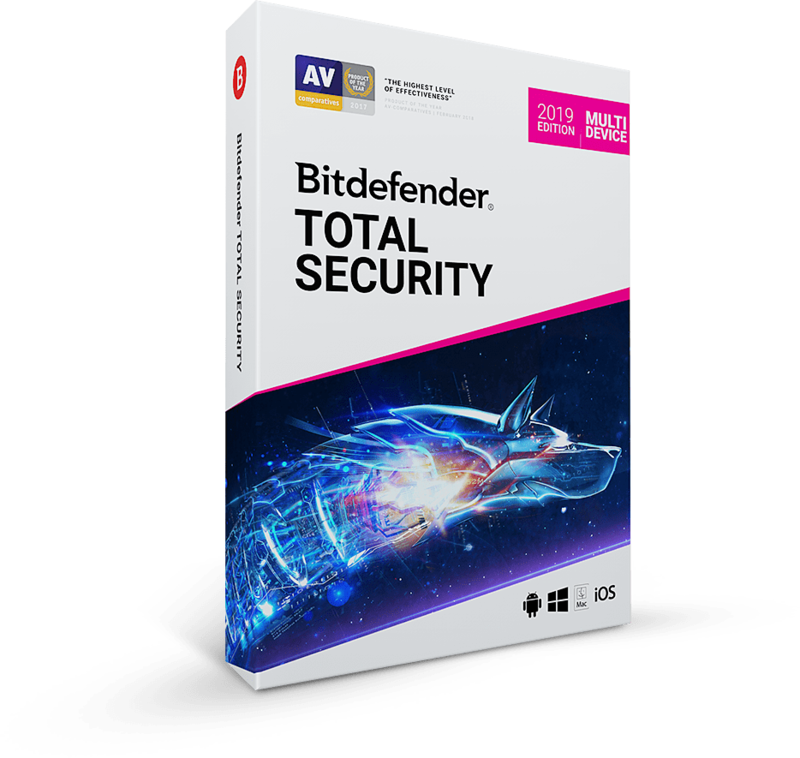 With Bitdefender Total Security 2019 you get 4-in-1 security for Windows, macOS, iOS and Android, at a price that beats any other offer. Absolute power in the most efficient anti-malware solution available today. Bitdefender Total Security 2019 works against all e-threats – from viruses, worms and Trojans, to ransomware, zero-day exploits, rootkits and spyware. Your data and privacy are safe. Bitdefender Total Security 2019 brings major changes to the way online threats are detected and repelled. The new cyber threat intelligence technologies included can analyze and identify suspicious network-level activities, and block sophisticated exploits, malware or botnet-related URLs, and brute force attacks. 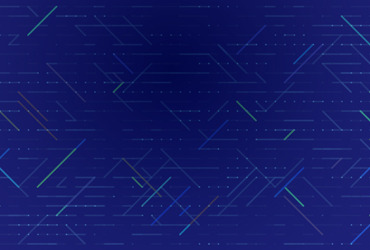 Bitdefender Total Security 2019 uses a technique called behavioral detection to closely monitor active apps. The moment it detects anything suspicious, it takes instant action to prevent infections. Our web filtering technology ensures that you never land on a harmful website. Find out whether your search results are safe to access before you actually click on a link. Bitdefender Total Security 2019 also blocks all known infected links. Bitdefender Total Security 2019 sniffs and blocks websites that masquerade as trustworthy in order to steal financial data such as passwords or credit card numbers. Some sophisticated viruses, like rootkits, need to be removed before Windows starts. When Bitdefender Total Security 2019 detects such threats, it reboots the computer in Rescue Mode for clean-up and restoration. Bitdefender Total Security 2019 packs effective anti-loss and anti-theft tools for your Windows laptop or tablet, remotely accessible from anywhere in the world via your Bitdefender Central account. 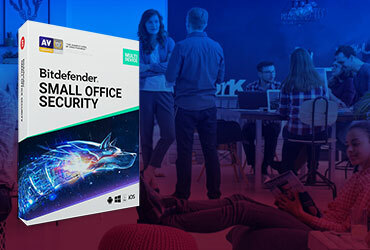 This innovative, exclusive technology helps Bitdefender Total Security 2019 adapt to the hardware and software configuration of your system to save computing resources and improve speed and performance. Bitdefender Total Security 2019 detects when you play, work or watch a movie, so it knows not to bother you with unnecessary requests. This way, you can focus on what’s important. Depending on what you choose to do on your devices, Bitdefender temporarily halts pop-ups, adjusts visual settings, and pauses unimportant background activities to allow you to enjoy your device to the max. With Bitdefender VPN you can stop worrying about privacy on the web. 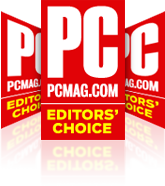 It protects your online presence by encrypting all Internet traffic. Bitdefender Total Security 2019 includes up to 200 MB daily encrypted traffic for your Windows, Android, macOS and iOS devices. With Bitdefender Total Security 2019 you get a powerful layer of network protection, so your personal information stays safe from hackers and data snoops. Bitdefender Shield handles all your security needs so you don’t need to bother with the nitty-gritty. Once switched on, it combines a series of innovative proprietary technologies to automatically detect and remove any threat, without any negative impact on your Mac’s speed and performance. Turn it on and forget about it. Online scams are on the rise, but our advanced anti-phishing protection easily keeps you out of danger. Bitdefender Total Security 2019 sniffs and blocks websites that masquerade as trustworthy in order to steal financial data such as passwords or credit card numbers. Parental Control offers digital help to parents and extra online safety to children. Filter out inappropriate content and limit screen time for each of your kids directly from Bitdefender Central. Parental Control offers digital help to parents and extra online safety to children. Limit screen time for each of your kids and track their location so you always know where they are. Save your kids the dread of an extra phone call - let them tell you they're OK with Safe Check-in. Log in remotely to Bitdefender Central to keep up with your kids. With so many apps available to install on your phone or tablet, you need to know how they interact with your device and data. Do they abuse your trust behind your back? Do they leak your private information? Privacy Advisor monitors your apps and lets you know what they do in the background so you are always in control. Parental Control offers digital help to parents and extra online safety to children. Filter out inappropriate content and limit screen time for each of your kids. Track their location so you always know where they are. Save them the dread of an extra phone call - let them tell you they're OK with Safe Check-in. Decide who can phone or text your child, and block incoming calls that have no Caller ID. Log in remotely to Bitdefender Central to keep up with your kids. 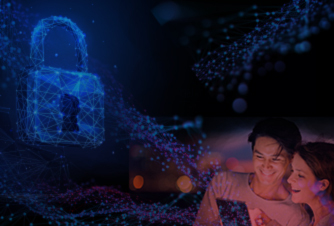 Bitdefender Total Security 2019 delivers multiple layers of protection against ransomware. It uses behavioral threat detection to prevent infections, and protects your most important documents from ransomware encryption. 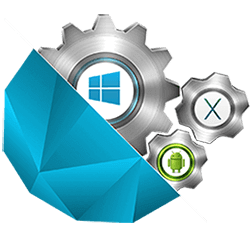 To start your trial go to Bitdefender Central to install protection on any platform.